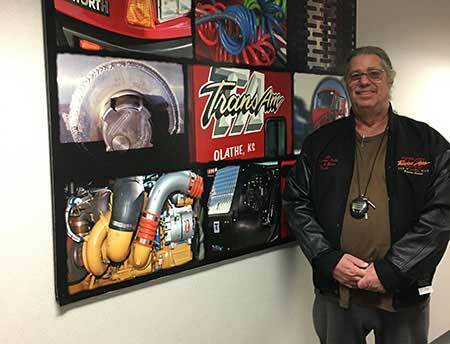 Gary Kimbro recently joined the ranks of TransAm Trucking’s Million Mile Achievers! Gary has driven for the company as an independent contractor since 2009. In 2013, he purchased his truck. He is a very dedicated driver and TransAm is proud to be a part of his journey as a successful business operator. When asked why he chose to start his business driving for TransAm Trucking, he said TransAm was the only company to treat him like a person. When Gary was in trucking school, a TransAm representative visited his school. Later, Gary saw that same representative at a job fair manning a TransAm booth. The representative saw Gary as well and recognized him from the school visit. The representative immediately called Gary over and asked him questions about how things were going and what Gary was looking for in a company. It was the first genuine interaction Gary received from any company at the job fair. He’s been with TransAm Trucking ever since. Gary is a noble driver. His record is clear of late loads and accidents. He also has a spotless DOT record. He is the kind of driver everyone wants in their fleet. Gary chose to drive for TransAm Trucking because we recognize drivers are more than bodies to fill truck seats. Drivers are noble people who keep America moving and people that deserve respect. Thank you, Gary, for choosing TransAm Trucking. We are lucky to have you as part of the team!